Kuala Lumpur was the only city on my itinerary that I had no prior knowledge of, with the exception that it's the home of Petronas Towers (Geo Challenge ftw), or specific reason to visit. I still don't know why I booked a flight there between Bali and Australia, because it broke the cardinal rule of RTW travel (no backtracking), but I'm glad that I did because it's actually a pretty cool city. (Not literally; I think I had some minor heat stroke fatigue going on from an afternoon spent walking around getting lost). Below are a few of my favorite places. 1. National Mosque. After seeing so many mosques in Morocco and Istanbul, this made for quite an architectural contrast. Also nearby (but not pictured), the Islamic Arts Museum had a great exhibit on architecture with models detailing different places of worship across the Middle East and Asia. 2. 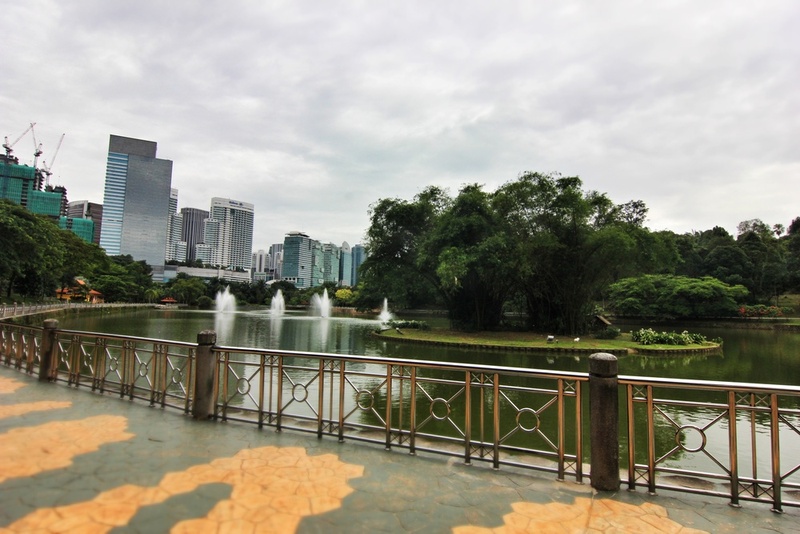 Perdana Botanical Gardens. The lake garden was pretty much empty when I went in the early afternoon - a tranquil retreat that, except for the skyscrapers peeking above the treeline, made you forget you were in the middle of a bustling metropolis. 3. Sultan Abdul Samad Building. I didn't go inside this beautiful late 19th century relic, but it borders one side of Merdeka Square, essentially the heart of the historical center. 4. Central Market. Great place to browse for souvenirs. Also the place where I did the batik painting. 5. Chinatown. Once you get past the densely packed stalls of knock-off designer goods, there is great street food to be found. The name to remember is Petaling Street.